Powerful tools to extend the reach of TelePresence. Cisco is extending Cisco Jabber to iPad and Windows, building on its extensive Jabber portfolio for Android, iOS, Mac, BlackBerry and Cisco Cius™ tablets. With this development, Cisco is enabling Jabber customers to collaborate from anywhere and across the most popular operating systems utilizing high definition video, voice, presence, instant messaging, desktop sharing, conferencing and visual voicemail. Cisco is also expanding native integration between Jabber and TelePresence, giving mobile users a way to initiate and connect into a TelePresence session whether in the office or on the go. A new three-screen immersive TelePresence platform. The Cisco TelePresence TX9000 Series delivers the highest quality video experience along with advanced collaboration capabilities*, further building on Cisco's wide array of TelePresence endpoints for customers of all sizes. The TX9000 integrates with collaboration tools like Cisco WebEx with One-Touch simplicity and is also designed to be interoperable with all standards-based endpoints from other vendors. Numerous customer and partner use cases for visual collaboration. A variety of customers and partners across healthcare, financial services, and oil and gas industries are deploying Cisco collaboration solutions to increase productivity and enable their employees to work on their own terms. These developments come at a time when people increasingly expect freedom of choice in how and where they work, and that includes having access to a variety of integrated collaboration solutions and interoperable endpoints–both hardware and software based. As a result, IT managers are looking to provide highly secure, enterprise-class options that enable employees to interact across a broad range of tools whether collaborating in dedicated immersive telepresence rooms or via PCs, Macs, tablets, or smart phones – and any standards-based endpoint within and between organizations. These innovations also are occurring as the need for rich video solutions and mobility is burgeoning. According to Cisco's latest Visual Networking Index, globally, 3 trillion minutes or 6 million years of video content will cross the Internet each month in 2015 and by 2016, global mobile data traffic will reach 10.8 exabytes per month (130 exabytes annually); growing 18-fold from 2011 to 2016. By 2016, mobile video will represent 71 percent of all mobile data traffic. A little more than five years ago, Cisco drove the creation of TelePresence with the introduction of the first truly intuitive and lifelike, in-person video experience. Cisco is continuing to innovate with the newly designed three-screen TX9000 immersive system that is intended to combine the highest quality TelePresence experience with advanced collaboration and content sharing capabilities. The TX9000 builds on Cisco's broad portfolio of endpoints that extends from the boardroom to the desktop and beyond. As the pace of business becomes more complex, the meetings that drive decisions are becoming more dynamic and data-centric, requiring multiple inputs for quick turns. These types of business-critical meetings range from brainstorming sessions to product engineering and design, acquisition integration, and crisis communication planning for globally distributed teams, require high-intensity collaboration capabilities that allow people to easily share and interact with content in TelePresence meetings in ways not previously possible. These advanced collaboration capabilities include sharing content on the main TelePresence screens, point and highlight capabilities, white boarding, moving content from screen to screen, and introducing data from multiple content sources*. Advanced Cisco WebEx® integration enables one-button-to-push simplicity for scheduling and starting WebEx® and TelePresence integrated meetings with future capabilities to support adding WebEx ad hoc to any TelePresence call using the Cisco TelePresence Touch interface. TX9000 boasts a new state of the art, sleek industrial design with modern look and premium finish. Innovative camera configuration enhances eye-contact among participants while the technology and cameras blend seamlessly into the background. Easily start and manage meetings using the Cisco TelePresence Touch user interface with "one button to push" simplicity that provides a consistent experience across the entire Cisco collaboration product portfolio. TX9000 can accommodate six users and the TX9200 comes with a second table that can seat up to 18 users. Provides native interoperability support for SIP, BFCP, H.264 and Telepresence Interoperability Protocol (TIP). TX9000 requires 20 percent less bandwidth than its Cisco predecessor. System does not require any additional specialized lighting or audio. Deployment flexibility options for wall-mounted or free-standing light reflector. The TX9000 is targeted to begin shipping in the second quarter of calendar year 2012 with the advanced collaboration and content sharing features targeted for availability later in the calendar year. * List pricing in the United States starts at $299,000. Regional variations may apply. People require a work experience that travels with them, across location, device, and platform. Cisco Jabber releases for iPad and Windows deliver advanced collaboration capabilities to your preferred device. Allows users to access high-quality video, voice, presence, instant messaging, conferencing, and visual voicemail capabilities on the iPad. Jabber for iPad delivers a complete collaboration experience for mobile workers who need instant access to information and decision makers and want to choose when, where, and how they work. Jabber for iPad delivers a standards-based experience built on the same high-quality video engine as Jabber Video for TelePresence and Jabber desktop applications. Jabber for iPad uses H264, XMPP and SIP. A unified client – meaning an end user has one place to go to be able to access a range of communication and collaboration tools including high-definition video, voice, presence, IM (point to point, group, persistent chat) desktop sharing and web conferencing, and visual voicemail access. Cisco Jabber for Windows features a highly intuitive user experience, allowing for point and click access to multiple forms of communication and seamless integration into Microsoft Office. Cisco Jabber for Windows integrates an advanced engine to deliver HD video to the desktop. This technology uses extremely efficient, industry leading codecs and enables customers to use standards-based H.264 HD quality video with common dual-core processor computers while improving performance over lower bandwidth networks. Jabber for Windows uses also XMPP, SIP and BFCP standards. Cisco Jabber releases for Windows and iPad can be used with on-premises and cloud-based deployment options. Target availability for Jabber for Windows and Jabber for iPad is in the second quarter of calendar year 2012. Cisco Jabber for iPad, Jabber for Windows and related server software are included as part of Cisco Unified Workspace Licensing. With Cisco's video solutions, disparate groups – anybody in the organization as well as truly anybody external – can interact with us face-to-face through TelePresence or using WebEx conference, allowing for more efficient communication and improved collaboration from any location. Cisco Jabber gives the flexibility in the method of communication, starting with presence and IM, extending its reach to a higher level of communication via desktop sharing, conferencing, and TelePresence sessions. With these tools, we are able to provide an in-person experience internally as well as with customers and vendors, saving time and improving customer interaction." "Cisco Jabber is an effective tool for addressing the rapid proliferation of mobile devices in workplaces. Today, several of our solution architects use the Cisco Jabber client on Windows, Mac, Cius, and iPhone devices, and are excited about the new iPad client with HD video. The Jabber Web plug-in augments the client offering letting us embed real-time unified communications and collaboration into our web-based portal to find product experts, see presence, and click to make voice and video calls in real-time. By embedding UC into our workflow, we're increasing productivity which helps us better serve our customers." "Eagle has a highly mobile workforce across the globe. We are pioneering a high performance workplace that provides flexibility by enabling communications from laptops, tablets, and smart phones. With the Cisco Jabber and TelePresence operating from a common architecture, employees can use any of these devices and any operating systems for collaboration, which includes real-time communication methods to improve their productivity." "McDermott uses Cisco Jabber to provide a unified experience across the company's desktops, tablets, and smart phones, to extend the reach of our TelePresence suite. We believe the adoption of Cisco TelePresence and UC technologies will improve the telecommunication facets to support our complex offshore oil and gas engineering, procurement, construction, and installation projects." "We strive to provide our employees and customers with consistent communications capabilities and a uniform user experience, regardless of what device they are using. In the coming months, we intend to deploy Cisco Jabber to all our 23,000 bank employees—on PCs, Cisco Cius, iPhone, iPad, Android, and Blackberry--to provide them with presence, instant messaging, voice, single number reach to mobile devices, unified messaging, WebEx meetings and TelePresence at their desk and on the go. This Cisco UC client deployment will be part of our "one vision" initiative for Turkiye Is Bankasi's future where our customers can communicate with their bank using different channels and locations, with the same service level throughout the nation." "As a long-time Cisco partner and early field trial account for the new Cisco TelePresence TX9000, we are excited to offer our customers the next generation immersive telepresence experience. From the onset of immersive telepresence five years ago, it was about delivering the best face-to-face meeting experience in a controlled room environment where meeting participants felt as if they were in the same room, around the same table. 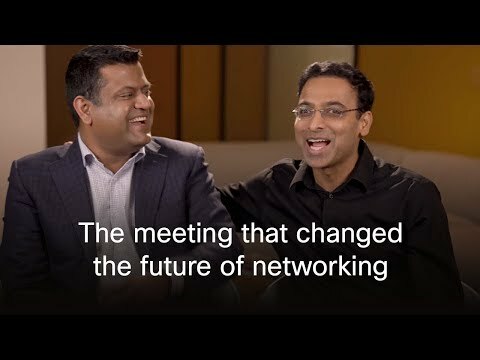 With the TX9000, Cisco is not only carrying the same robust feature set forward, but they are also delivering advanced collaboration tools which will provide the ultimate in-person meeting experience. With its streamlined design, easier installation and innovative collaborative platform, the new TX9000 will strengthen our overall immersive telepresence portfolio and enable us to deliver a more compelling business transformation experience to our customers." "We use TelePresence heavily, with two areas especially benefitting by it – our Turbines R&D department and our people development process. Vestas' Turbines R&D is the world´s biggest research and development department in the wind industry, and we use TelePresence for activities like product development, quality assurance and follow up, thus supporting a faster product to market strategy and a higher quality product. We also use telepresence largely in our People and Culture area: doing job interviews and early Performance and Development Dialogue – thus saving a lot of cost and time on travelling." "In a world that is increasingly mobile, social, visual and virtual, individuals are dictating how, when and where they communicate and collaborate inside and outside of the workplace. With today's TelePresence and mobility announcements, Cisco is continuing to make "any device to any device" a reality, while helping customers collaborate on their own terms on a range of devices that provide a rich and consistent user experience." Cisco will showcase these new offerings along with other collaboration innovations during a keynote presentation and demonstration on March 27 at Enterprise Connect in Orlando, and additionally to virtual audiences through the March 2012 Cisco Collaboration Virtual Experience. Learn more about these announcements and ask questions to Cisco product experts on the March 2012 Cisco Collaboration Virtual Experience. Find more information about the Cisco TelePresence TX9000 Series. Find more information about the Cisco Jabber portfolio. Social Media: Cisco Collaboration Community, Cisco Collaboration and Video Blogs, @CiscoCollab and @TelePresence on Twitter, Cisco Collaboration and Cisco TelePresence on Facebook. Cisco (NASDAQ: CSCO) is the worldwide leader in networking that transforms how people connect, communicate and collaborate. Information about Cisco can be found at http://www.cisco.com. For ongoing news, please go to http://newsroom.cisco.com. Availability Disclaimer: Many of the products and features described herein remain in varying stages of development and will be offered on a when-and-if-available basis. This products and features are subject to change at the sole discretion of Cisco, and Cisco will have no liability for delay in the delivery or failure to deliver any of the products or features set forth in this document. We welcome the re-use, republication, and distribution of "The Network" content. Please credit us with the following information: Used with the permission of https://thenetwork.cisco.com/.